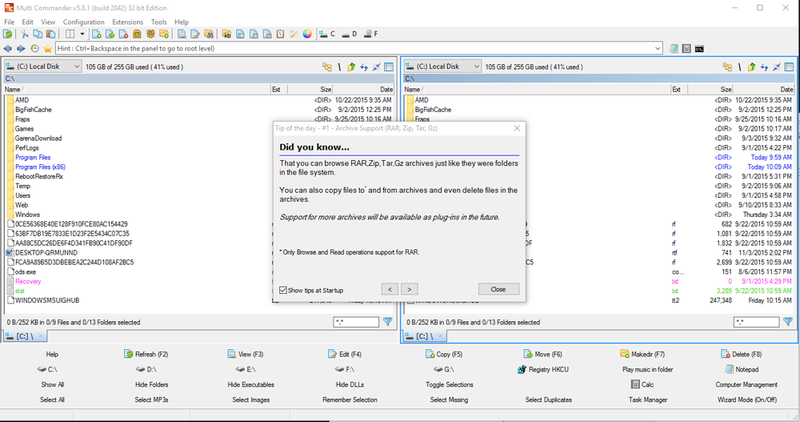 "A file manager offering many more features and functionality than the standard file managers." Multi Commander is a tool to use if you are not keen on the display of the classic windows explorer view of your file manager, it has a dual panel layout and also rather helpfully gives you tips on how to make the most out of it each time you open it up. You are able to do all the same file commands as you would normally such as view copy, move and rename but you can also use it to do more complex commands such as unpacking and transferring files. Even in the latest Windows 10 explorer has not been updated much from previous versions and Multi Commander tries to offer an alternative to make your file management an easier and more organized process. 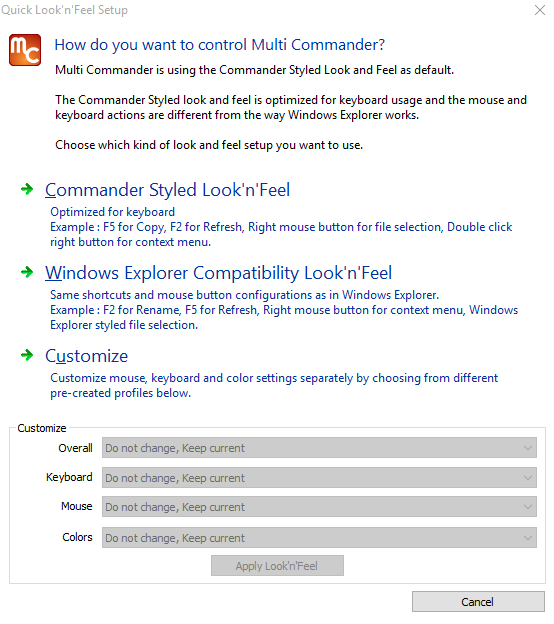 It is more feature rich than explorer but can be a little hard to get used to using it, however if you find that Windows does not offer you all the functionality you require with a file manager then Multi Commander may be exactly what you need. It offers some really cool features like auto sorting and unpacking on top of all the standard features, it is compatible with all the major file types, you can also set up hot keys to go directly and quickly to the files you want to and to switch between different drives. You can use it to have multiple folders open at the same time, really these are features that should be included with Windows explorer but if you want to be able to view and organize your files with full functionality then Multi commander is a great and free idea as an alternative to Windows Explorer.